Democrats are partying in the tropics while Donald stayed in Washington to make a deal on the shutdown. 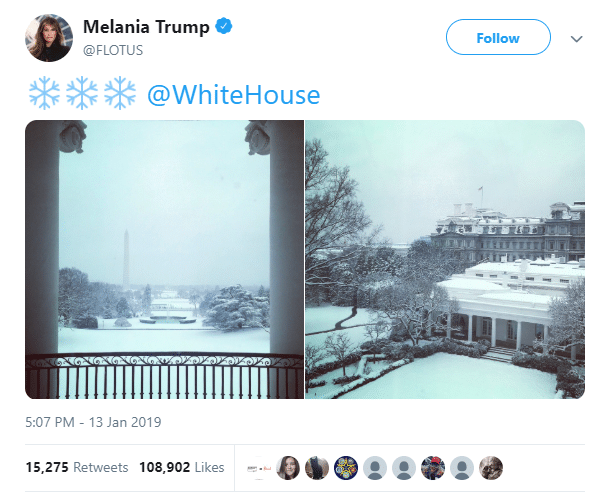 Melania posted breathtaking pictures of the view from the White House after a snowstorm hit. So much for global warming, right? A January winter storm has passed over much of the United States. 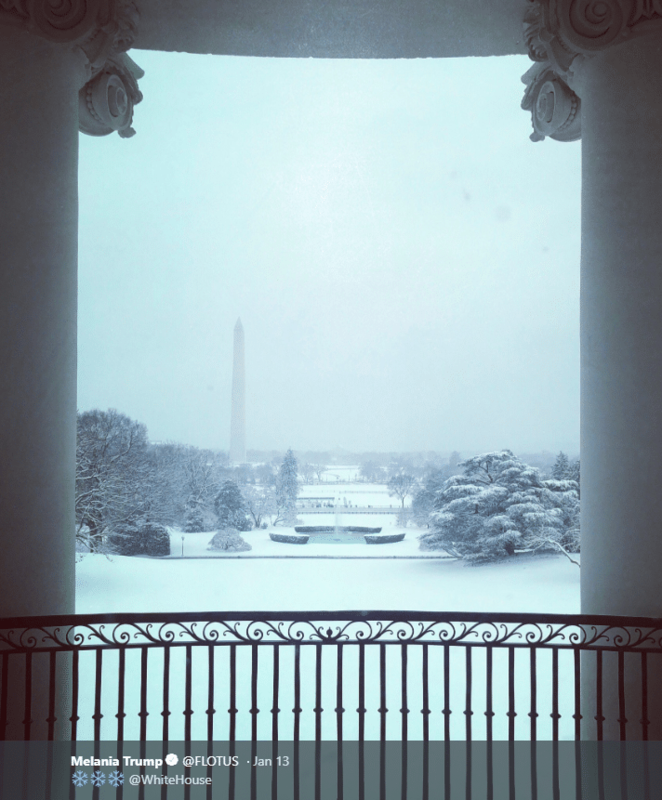 The major storm blanketed Washington, D.C. Most of our Democratic lawmakers missed it, of course. Because they were too busy partying in the tropics. Meanwhile, President Trump is hard at work in D.C., trying to find an end to the shutdown. 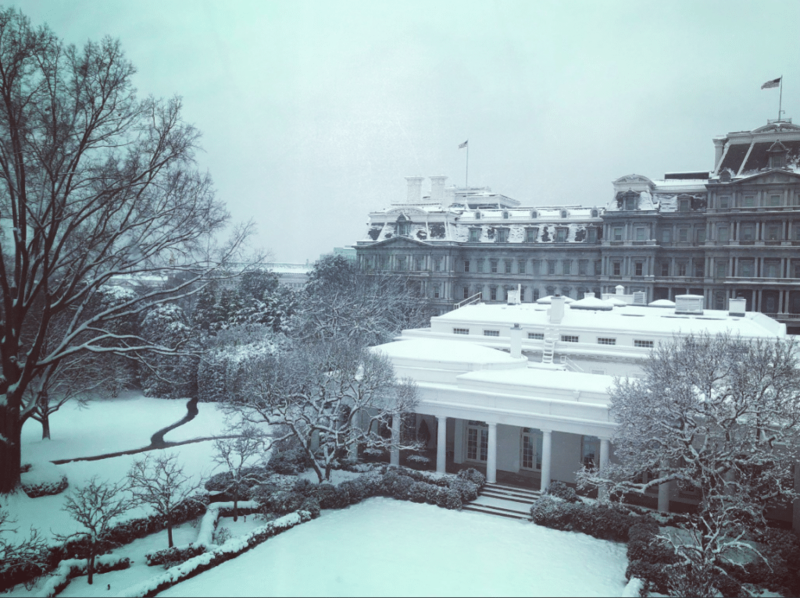 He and the First Lady shared some stunning views of the White House. SHARE to tell Democrats to get back to Washington to work for the American people! Already the news is getting out that the Democrats are partying while many are out of work. As the shutdown continues, many top Democrats were spotted partying in Puerto Rico. I guess the hundreds of thousands of out-of-work Americans didn’t stop them from getting their tans. Trump and Melania’s posts couldn’t be more appropriate. As Democrats turn their backs on Americans, the First Family is braving the cold. They are putting Americans first, looking for a way to end the madness. Despite the horrendous behavior of the Democrats and liberal media, Trump still loves this country. He continues to work tirelessly, despite the pathetic Democrats, the fake news, and their slander. It tells you everything you need to know about his integrity. And the corruption of his rivals. 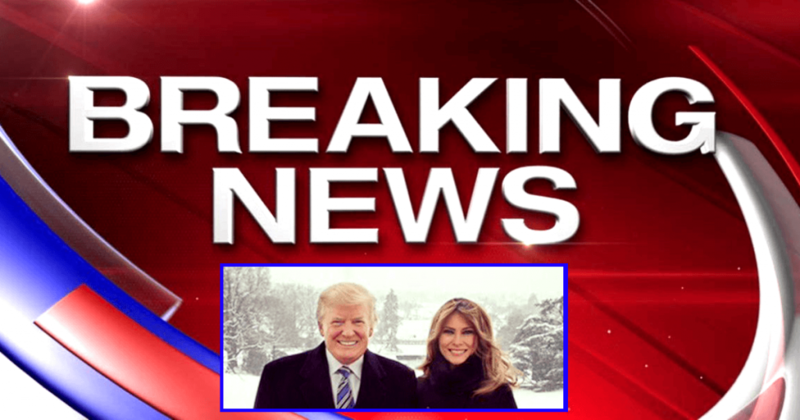 SHARE to thank President Trump and Melania for staying in D.C. to fight for us!